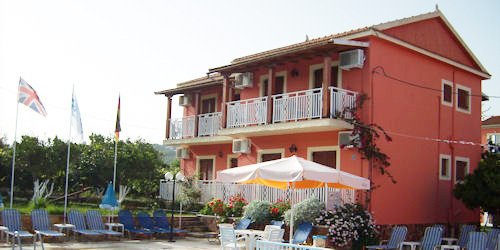 The accommodation at the Rainbow consists of Nafsika apartments, Dionyssos 1 and Dionyssos 2 studios. 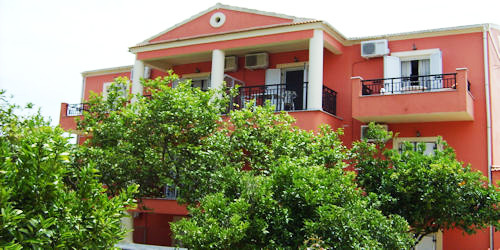 All rooms, 21 in total, are set in the well kept gardens and have a balcony or terrace with either a Pool or Garden View. The rooms are well equipped for self catering and there are mini-markets and a bakery nearby where you can stock up with anything you may need. If you would like to take an evening meal in the restaurant, a 10% discount is available for guests. All of the accommodation is available for booking through Thomas Cook. For a description of what is included in the Thomas Cook price, please refer to their brochure or web site, a link to which may be found on the "Links" page.